Begin your visit with an adventurous drive along a gravel road, encompassing wide landscape views from the tops of hills, to lush, sub-tropical forests. The idyllic Man O’ War Bay is located at the very Eastern end of Waiheke Island. Showcasing our flagship reserve wine range of current releases alongside select limited library stock it is a must-do on your Waiheke itinerary. Upon arrival you can enjoy a complimentary tasting with our friendly knowledgeable staff in the colonial ambience of the Tasting Room where our sustainably sourced solid Kauri bar takes pride of place alongside our wines and the old photographs, maps and art that lattice the walls and tell the story of Man O’ War’s legacy, land and wine. Wile away the afternoon relaxing on the rattan furniture under the shade of the verandah or enjoying a shared lunch on the expansive lawn whilst soaking up the views over the bay to the Coromandel coastline interrupted only by the Pohutakawa tree perimeter which itself is a beautiful sight when in seasonal flower and the source of our delicious honey. We are a family friendly premise with activities for the kids (and adults) such as lawn cricket, petanque, skittles and swingball. Dogs are welcome but must be kept on a lead at all times. This summer we are excited to introduce our ‘pop-up shop’ selling grocery and deli items, ice creams and gifts alongside our on site coffee van serving up excellent espresso coffee for those in need of a caffeine fix. Located at the eastern end of Waiheke Island, in New Zealand’s Hauraki Gulf. Old World techniques with innovative New World ideas. 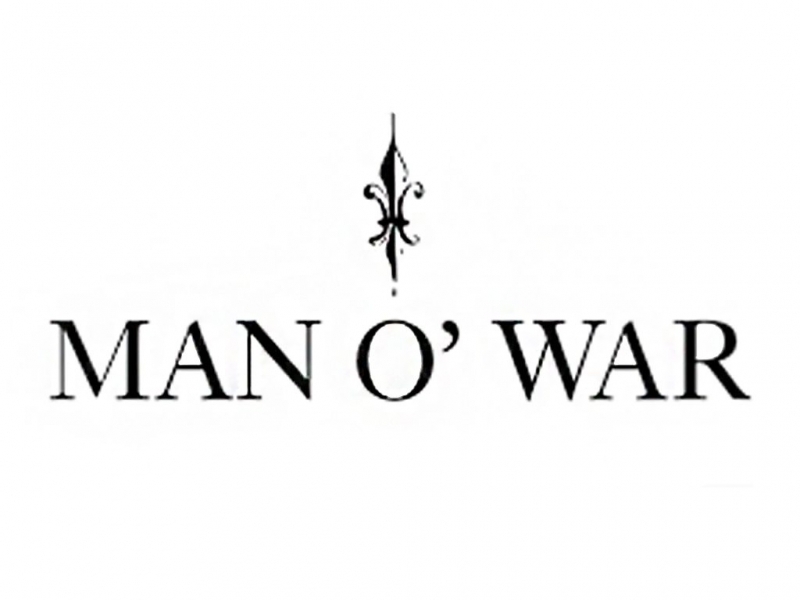 Duncan’s heart and soul, and enormous talent, are all reflected in each of the extraordinary wines he crafts at Man O’ War. Of singular personality they are indeed the “definitive translation of our land”. The inaugural graduate of the Viticulture and Oneology degree program at Lincoln University in 1998, Duncan spent the following 3 years working harvest for some of the best producers in Burgundy, Germany, California, Australia and New Zealand. This apprenticeship culminated in 2001 when he landed a job with one of New Zealand’s greatest wine producers, the Waipara Valley’s inimitable Pegasus Bay. After nearly 4 years under the wing of Pegasus, Duncan left to develop his own winemaking ideas at Waipara Springs until 2008, when we were fortunate enough to entice him north to Man O’ War. He now makes his home on Waiheke living above Onetangi Beach with his partner Vanessa, son Tommy and baby daughter. Matt is irrefutably dedicated to the pursuit of wine growing excellence and has meticulously fashioned and farmed each and every vineyard at Man O’ War from the ground up. Born and raised in Gisborne, on the east coast of the New Zealand’s North Island, Matt would often be seen around the sports fields of Poverty Bay trying to emulate the feats of his father and uncles who all made national age group honours in either rugby or boxing. However in the days when rugby and cricket were still amateur sports in New Zealand, he quickly realized he would need a 'real job' to pay the bills. Taken on by Montana Wines in 1987 he learnt his trade from the bottom up, before setting off on an 'O.E.' to Wales to pull pints and push from the second row. On his return to these fair shores, Matt joined Man O’ War as our first and only Vineyard Manager. He has lived in Man O’ War Bay since 1993, when he planted the first vines on our land, in a home he now shares with his partner Denise and their two daughters, Brooklyn and Gracie. Over two hundred years after Cook first sighted Man O’ War, we were convinced that world class wine could be grown here. Throwing caution to the wind we began planting our first vines in 1993. Today, Man O’ War consists of 150 acres of vines planted in 76 individual hillside blocks, each with a distinct soil profile and microclimate. Driven by this blueprint, our white varieties have been carefully placed high on the exposed volcanic hilltops of Man O’ War so that they benefit from cooling sea breezes, extending their growing season and giving them great concentration and minerality. While our red varieties are draped down precipitously steep sheltered clay hillsides enjoying the heat and drainage provided, promoting serious intensity and depth.